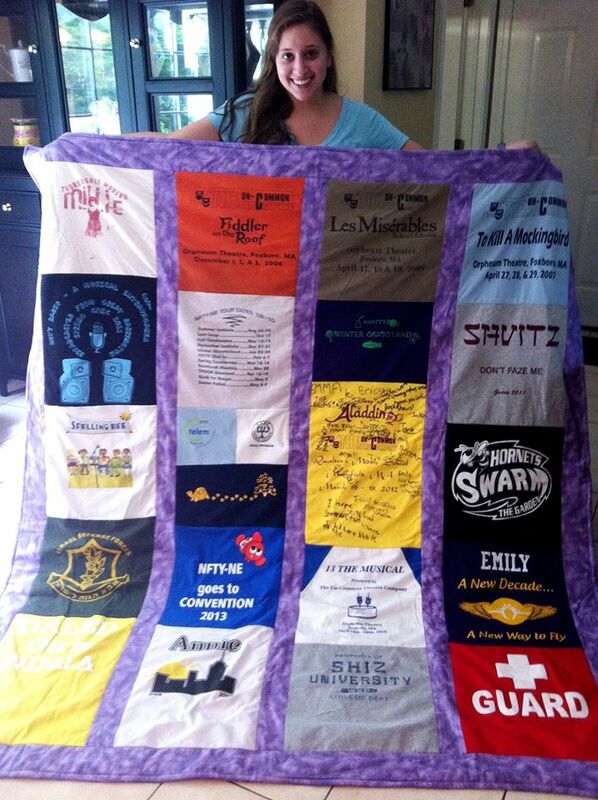 Treasure important moments and mark the milestones in your life and the lives of those around you with a memory quilt. For more samples of our work, please visit our online portfolio. Contact me to find out more information on creating your unique project. We make quilts in any size…..it depends on how many clothing pieces you would like to use, we can always fill in with other fabrics, as well. 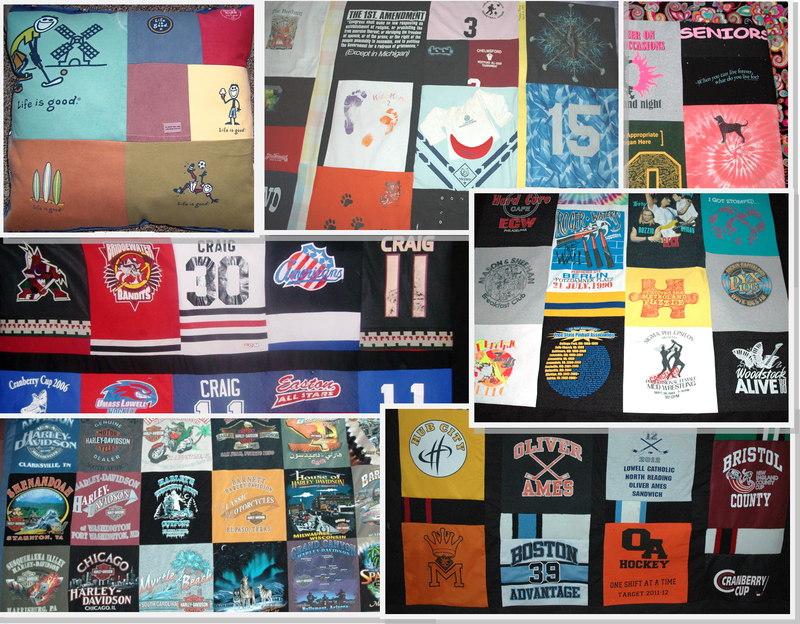 (16 shirts is a great number of shirts to use – it would end up with a quilt that would measure approximately 68″W X 76″ L (5 3/4 ‘W X 6 1/3’L ). It’s probably a good idea to become familiar with the work we have done, and our pricing template so that you will know how you would like to proceed. First, you can take a look at our online portfolio: Buttonwood Quilts to get a feel for the different quilts and design options. I will work with you to design your project to your individual specifications. 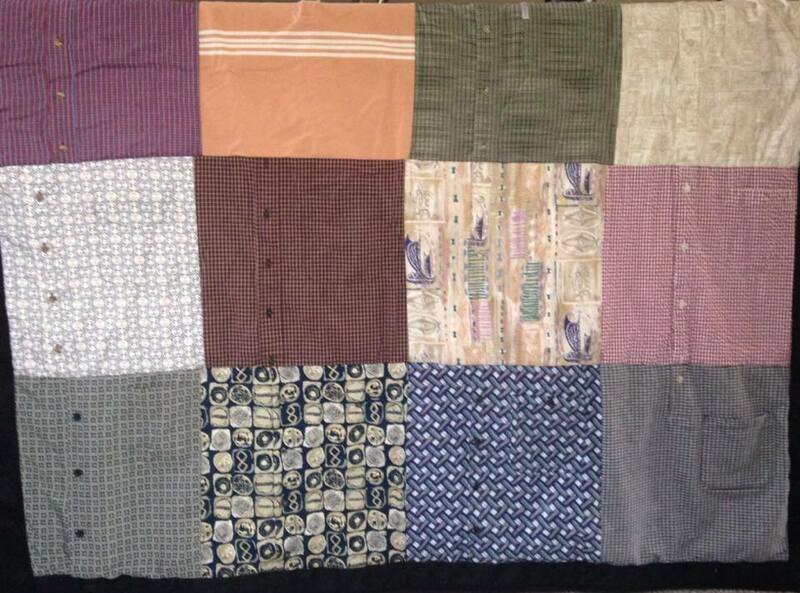 You can always add more or fewer items to create the size and design quilt you prefer. 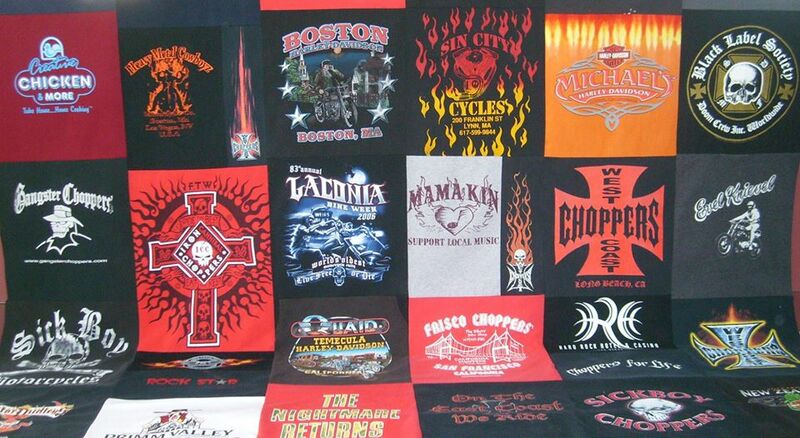 We can pretty much incorporate any kind of fabric into the quilts. We have used sheets, pajamas, bathrobes, bathing suits, ties, hats……. 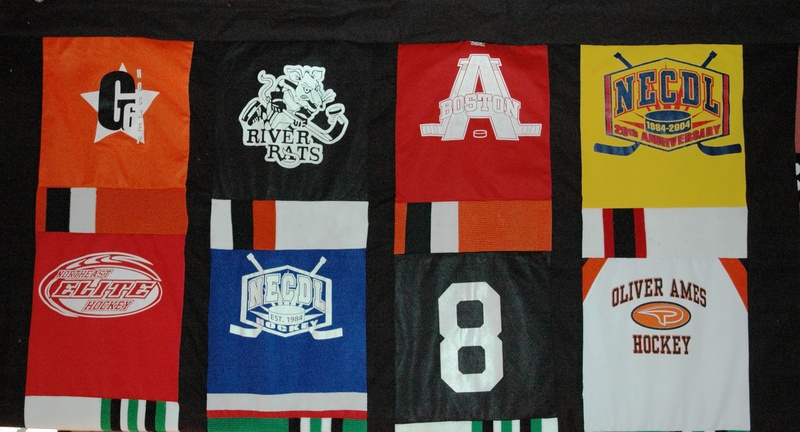 We can make them any size from a pillow that uses between 1 and 10 items to a bedspread that uses over 40 items. They can be single sided or doubled sided as you prefer.This is definitely a process….to go through the items and decide which ones to use…..no worries… I will lay it all out and take photos to have discussions with you about which items go where, different layout options, etc. If you are local, we can work out a time to meet to look through your items. If you are further away, you might decide to mail the items to me with any particular notes attached to the shirts (i.e. ‘front only’, or ‘only if needed’) , and allow me to send you photos of some suggested layouts. I look forward to working with you to create unique and memorable gifts…..
Be sure to Contact me to find out more information on creating your unique project.